Why Should You Buy Insurance Online Instead of Through an Agent? In these days of advanced technology, many people are comfortable doing just about everything online. It must be the convenience of being able to access services even beyond working hours. If your job demands are such that you barely have time even for a quick lunch, you will find the internet a great companion. Therefore, when you think about getting some life insurance for your family, you will look online for a solution. A few years ago, buying life insurance was quite a process. You could not do it online. You had to either visit your company of choice or find an agent to hook you up. 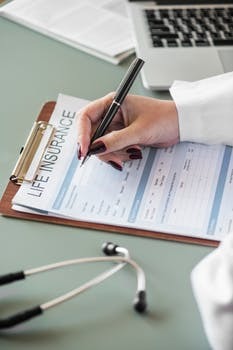 You will need to calculate how much coverage you need then figure out how much you will pay in premiums. The amount to pay will be given in terms of a quote from the company. As soon as you fill in an application and submit to the company, you will receive communication on whether or not you are eligible. Hopefully the feedback is positive so that you can go to the next step. If you need help, the company has a customer service team that you can contact via phone, email or chat. If their offer appeals to you, start the cover immediately by paying your first premium. The customer service will give you guidelines on and where to make your deposit. If you are required to take a medical exam, please do so at your earliest convenience. Most companies will give you a maximum of ninety days. Make sure that the results reach the insurance company long before then. It is convenient – You can make your purchase from the comfort of your home or office. You do not have to leave. Everything is just a click away. Also, the service is available around the clock. It is a transparent process – You do not have to worry about an agent possibly overselling or giving you wrong information, though they rarely do. It settles your mind to know that in case of the inevitable, your family is covered. The fact that you did not have to take time off work or leave your home for this peace of mind is an added advantage. It takes very little time – All you need is the name of the company and with a few clicks and a little scrolling, you are all sorted out. Feedback is given immediately and you can even start coverage right away. You can find what coverage you need in a few clicks of the mouse. You will be pleasantly surprised to find out that it is not as expensive as you thought or had been led to believe. When you buy insurance coverage online, you are in control over how much you buy, when you buy it and from whom. 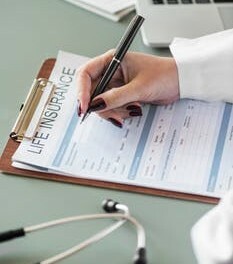 Getting coverage is as easy as clicking on juniperlifeinsurance.com or your company of choice without driving all the way to their offices and dealing with traffic or having to get some time off work, which in most instances is not taken with a smile.